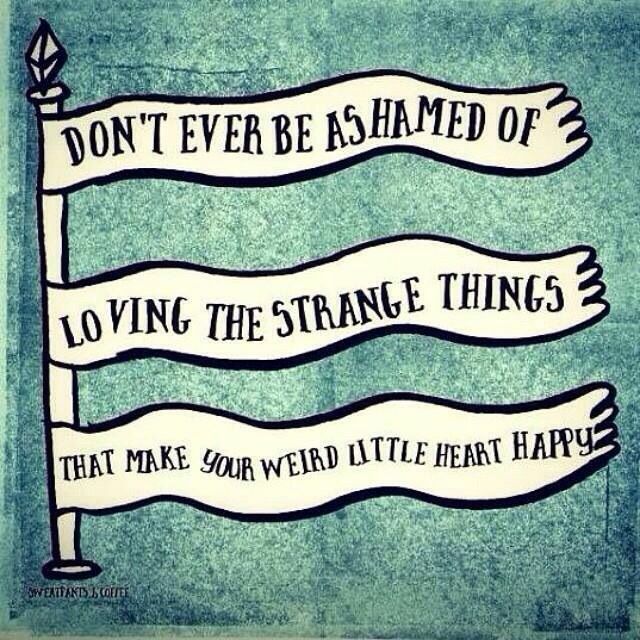 Love really comes in many forms. There is no one perfect ideal on what love is. For me its being able to come home to someone that does no demand all your free time, while for others it’s spending every single waking second together, the trick is finding the right partner, that special someone who makes everything just click for you. Akihiko Kondo found that special someone, only he went and took a road less traveled. Where the majority of us seek romance with other humans he has decided to marry a hologram. I know your all probably thinking that this is something like Krieger from Archer, with his Anime inspired holographic girlfriend, but you would be wrong. 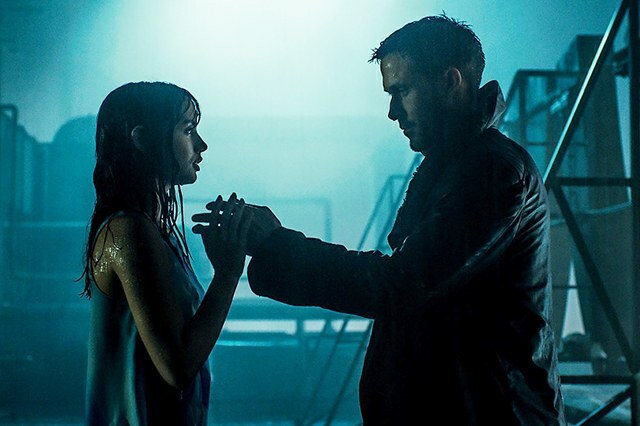 The relationship actually seems to be more, for lack of a better word pure, like Joi from Blade Runner 2040, or Scarlett Johansson’s character in Her. Akihiko Kondo’s relationship is built on having a companion and not a weird sexual perversion. Moving away from the Science Fiction and back towards reality, because people this story is real. 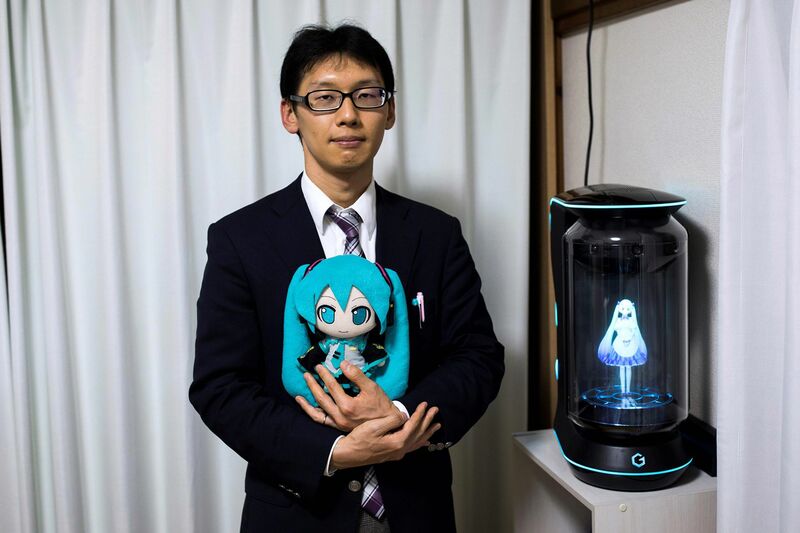 The 35-year-old man married a computer-generate singing Hologram. 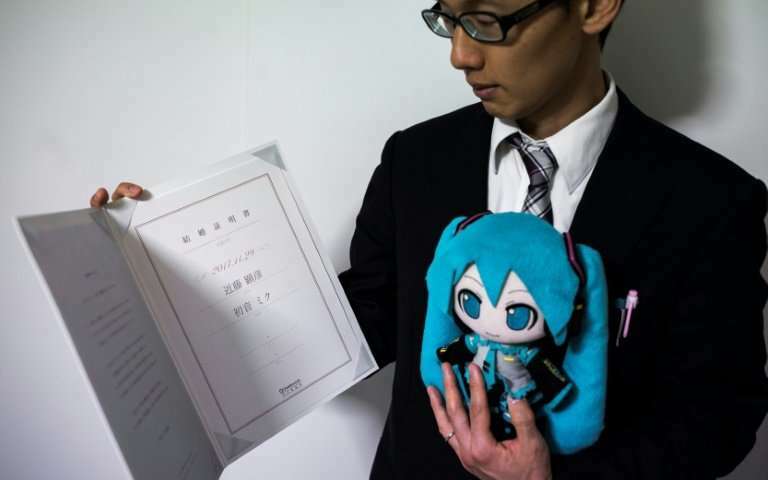 One that resembles Hatsune Miku, a 16-year-old fictional pop star, in a $18,000 wedding ceremony with nearly 40 guests. Though 40 friends and family attended the event, sadly his parents decided to skip it. 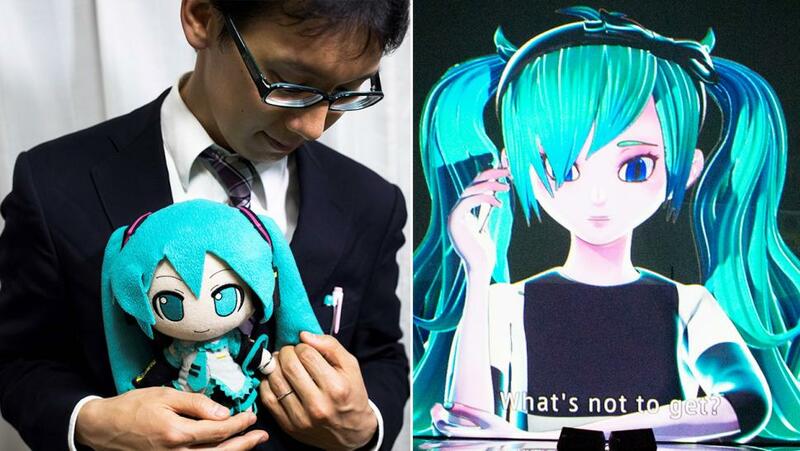 Still Kondo received good congratulations from his fellow Hatsune Miku fans over social media. (Though some people refer to him as a creepy Otaku, which is understandable). In the end Kondo hoped his wedding would inspire others to find marital happiness, in whatever form it might take. If you are wondering how you can marry your favorite fictional character then you can join the 3,700 people who signed up for marriage registration forms offered by tech developer Gatebox enabling them to “wed” their favorite virtual characters. I should inform you all that the ceremonies have absolutely no legal standing. Personally the story makes me a little sad, that this guy is s convinced that he will never find love that he decided to marry a virtual character, yet at the same time I feel a little inspired by it and think to myself, you do you and let your freak flag fly! So funny, I wrote a post about Gatebox letting people register to marry their virtual partner. I kind of knew people would do it but to actually see it, it is kind of hilarious. But all I can say is I hope the marriage makes him happy.